Say Cheese! Actually better not, its now Stilton! We can no longer use the word Cheese to describe cannabis strains unless its by Big Buddha! We were to, so when we opened up a document we were more than a little surprised at the news which was about to hit us. 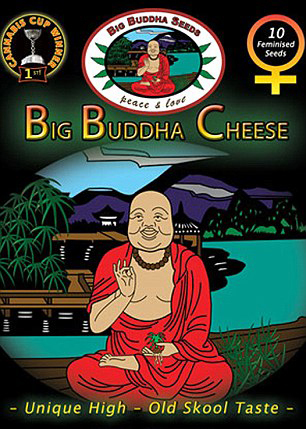 Big Buddha has won the rights to trademark the word "Cheese" in relation to cannabis in the UK. Yep, you read that right. So this is where the fun begins for us here at SeedMasters and anywhere else that sells lots of popular seed banks. We now have the painstakingly task of going through all our "cheese" named products and changing them to stilton. However, never fear! It is just the name that will change and not the actual products. The Seeds who currently have the cheese title will still remain that exact strain just with a cheesier stilton name! Ive done a little looking around and not everyone is happy with this, some are pretty angry about it and others believe it’s a good thing which will keep the UK cheese's authenticity.